Over fifty national and regional organizations have signed on as partners for the HBOR. “LGBT community centers, equality organizations and national LGBT leaders have all signed on; it just shows how important health equality is to all of us,” added Prachniak. To learn more and to download the bill, visit HealthcareBillOfRights.org. 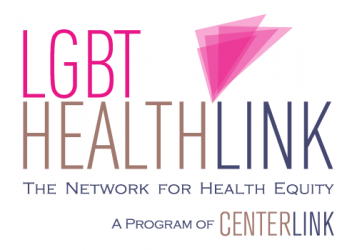 Organizations interested in becoming partners and receiving a copy of the bill with their own branding should visit the Our Partners page or contact HealthLink@lgbtcenters.org. CenterLink – was founded in 1994 as a member-based coalition to support the development of strong, sustainable LGBT community centers. A fundamental goal of CenterLink’s work is to help build the capacity of these centers to address the social, cultural, health and political advocacy needs of LGBT community members across the country. Now in its 20th year, CenterLink continues to play an important role in addressing the challenges centers face by helping them to improve their organizational and service delivery capacity, access public resources and engage their regional communities in the grassroots social justice movement. Next Post Healthcare Bill of Rights: new partner resources!